As a Private Household Manager (yes, I have various “hats” that I wear..) I was recently enjoying the simpler parts of my working life, such as polishing the bathroom taps until they were sparkling and hoovering the doormat until not a speck of dust could be found… yes, I do get rather geeky when it comes to these things, it really helps me to relax on a busy day. 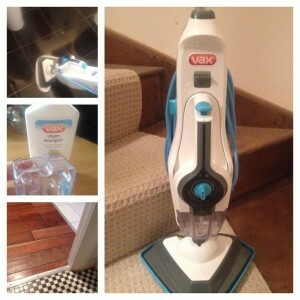 One of the more fun tasks very recently was to mop the hard floors, but I wasn’t using any old household mop, I was “christening” the family’s new Vax steam mop, the new toy within their household. I am still not sure who was more excited about this particular piece of equipment, myself or the owner of this shiny new gadget, but I got to use it first, a small victory haha. She had purchased the “Hard Floor Master Steam Cleaner” which was a basic steam mop, which helps to reduce a lot of work when it comes to mopping and scrubbing the floor. For it’s size, it’s a pretty powerful little thing and simply runs off water, no detergent container here, it’s pretty eco friendly, if this is something that you like to consider when buying household gadgetry. 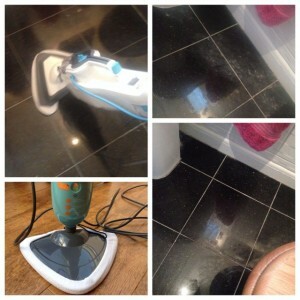 You simply plug it in and go within 60 seconds, you just pull back the trigger and mop away. In fact, I found the steam came out pretty quickly and easily, so I pulsed my steam to avoid sopping wet floors. 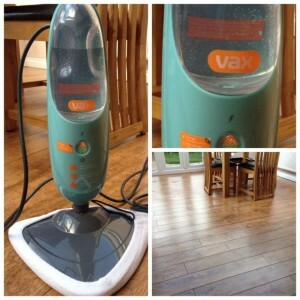 The water container isn’t huge, but for a standard sized living room and conservatory, it cleaned the entire hardwood floor surface with the water I had placed inside it, needing a quick top up for the kitchen, hallway and downstairs bathroom…. not bad going at all. This particular model is made to steam clean many different surfaces including lino, tile, sealed laminate and wood flooring. Literally all you need to make this go is clean tap water (filtered water might work best if you can feed it this) and you can use the re-usable microfibre cloths that detach for washing when finished. This is sold at a RRP of £79.99 and it makes easy work of mopping the floor, I loved using this and it’s so light, you can lift it easily in one hand, move it freely up and down stairs to other floors and it has a triangular shaped head that bends and flexes into the toughest of tight corners, a feature I loved, especially when it came to cleaning around the toilet and sinks in the bathrooms. 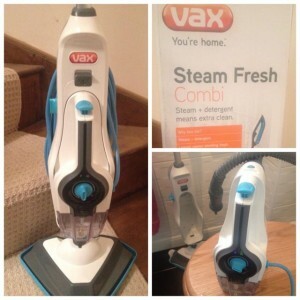 And so, a few weeks later, I was the very excited owner of the newest top of the range Vax steam mop, the all singing, all dancing multifunction steam cleaner, with detachable handheld cleaner to get to the really gritty places the mop itself might not be able to reach. This model comes with a huge selection of tools to use on different floors and surfaces, including the kitchen hob, tiles, taps, mirrors, hard floors and even windows. As before, this mop has some poke, so I pulsed my first trigger pulls on my small en suite bathroom floor and got to work after giving it a good hoovering first to pick up all the dust laying on the surface. The only issue I did find was when using one of the brush attachments, the steam managed to somehow melt the bristles of the brush after just one clean on this small floor, so I was a little baffled. After a discussion with the Vax Customer service team, they apologised profusely and sent me a replacement brush right away, great service and I will try again with this once it arrives. There are two different detachable compartments for your liquids, one for water (as above) and one also for the detergent, an optional extra to keep your floors as hygienic as possible and smelling fresh to boot. Vax state on their website that it is an environmentally-friendly detergent, containing no harmful chemicals. This comes in different scents including ‘Spring Fresh’ and ‘Ocean Breeze,’ both of which smell pleasant, but don’t overwhelm the room. In using this particular mop at home, I’ve favoured simply using plain steam for a quick job and this does me proud in honesty. This machine is a little heavier, due to the handheld device attached, however, still isn’t a beast, it’s light to carry around the house and it fits snugly under the stairs next to the hoover, it doesn’t need a huge space to store it which is a huge bonus. The mop head is a little larger than the first model, so as a result doesn’t quite manage tiny spaces and gaps as well, which is a real shame. It’s a little too big to whip behind the toilet, however, releasing the handheld steamer does the trick just as well, it just takes a little more effort to get down to the floor level to do so. I haven’t yet used this attachment to do my oven or hob, but it’s next on my list, such a great idea and should help to release any dried on areas should you ever have spillage as you cook. It does also have a built in scrubbing brush for the harder dirt and grime that you may have attached to your floor, I haven’t needed to use this yet, but in the winter, I should imagine this is a godsend for dry mud and outside dirt. You can even refresh your carpets with this steam cleaner, as it has a floor guard to lift it off the floor just ever so slightly. I had in fact received a quote over the last few months to have my carpet steam cleaned, so this is going to save me a small fortune and done just once a month should help reduce any harmful germs as a household with a dog cohabiting. Whilst steam mopping, I work from the furthest corner of the room and work backwards, it seems like common sense, but the first time I did this, I “steamed myself in” and nearly slipped on the floor, so some slippers that grip are a wise idea in my advice. Saying that, the floors should dry in around 3 minutes after steaming, so if you do this, you won’t be stuck there for long! The cord on this machine is very long too, so it covers a fair distance around the house before you need to find a closer plug and it’s light blue in colour, so visible to avoid potential tripping hazards – it’s a well thought out little beast. It’s a little tricky to figure out when it comes to popping on the attachments and figuring out how to take off the handheld steamer, so unlike myself, take some time to read the instruction manual and get to grips with the mechanics before you unleash your fury and frustration on it (ahem… I don’t do instruction manuals, I’m terrible, I know it’s a problem, I’ll get there one day!) as simple as that may seem. A 2 year guarantee is also included for most of these machines and if the customer service team I have dealt with already are anything to go by, you are in pretty good hands. 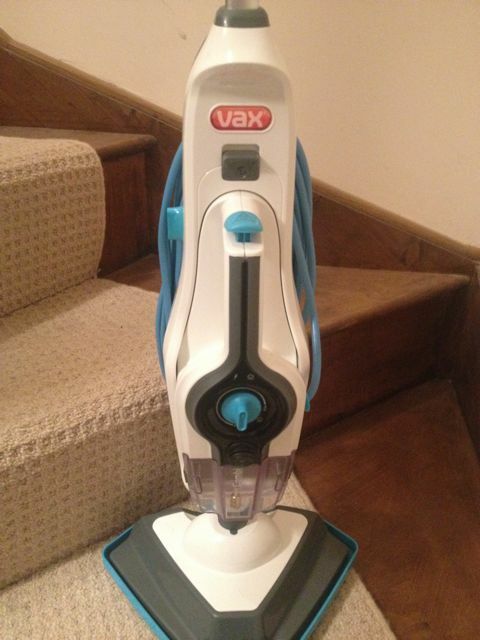 I’ve never owned a Vax product before, but from what I’ve experiences recently, I’m super impressed and hope to be a keen owner of their household items for many years to come. And if that wasn’t enough waffle from me today, I’m also going to share with you my top tips for perfect mopping… It’s a real art don’t you know!? 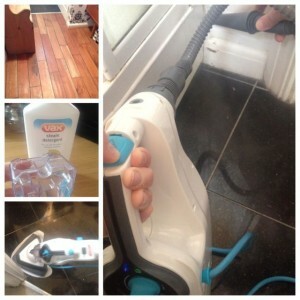 Firstly, clear the room or space as best you can, it makes life so much easier to clean. Move the bin out of the room, try to clear the chairs, table, general clutter from the floor where you can, it’ll save you a heap of time. Be very careful of marble and granite floors, as both are highly absorbent – go lightly on the water when mopping. If using a steam mop, you can use a very light setting to clean the floor gently or if in doubt, pulse your machine if using one until you have enough steam to cruise on through. 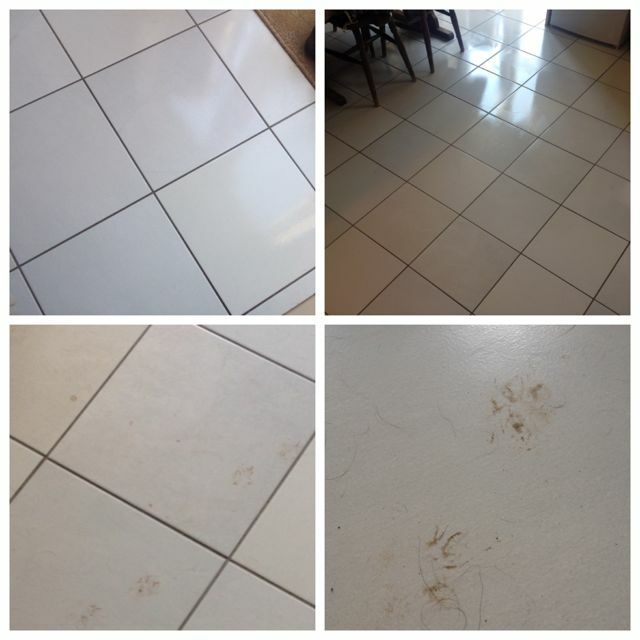 Using a soft bristled brush, sweep the floor to remove any loose dirt, pet fur, etc. Using a Hoover could do the same job, however on harder surfaces, they can sometimes dent or scratch the floors or knock fittings or furniture, so be gentle if doing this – only YOU know your own floors. If you want to be stupidly clean when going at your floor, you can even “dust mop” your hard floors to remove any dusty bits before wet mopping – these are the bits that clog up and look like wool when mopping later on – not too pleasant to untangle from your microfibre if you are a bit queasy about these things! If going for a good old fashioned mop and bucket, firstly dunk the mop into the bucket and wring it out well. Start in a corner, pressing up against the skirting board and wiping from left to right, rather than just in a random circular motion. Move in a small square motion, overlapping each square as you go. Once your mop starts to show signs of soiling, pop it back in the bucket and repeat, alternating side of the mop each time you go back to clean, make use of both sides. Remember to start in the furthest corner or point within a room and work backwards… otherwise, you’ll mop yourself into a corner yourself and will have to tip toe back across… it’s so frustrating when this happens! For lino and tile floors, if you don’t want to use detergents, you can use a healthy splash of vinegar to cooled tap water for an extra shine. Keep an eye on your water, once it starts to go a murky colour, it’s time to empty it and get some fresh water, otherwise you are going to reapply all the dirt you’ve just picked up! 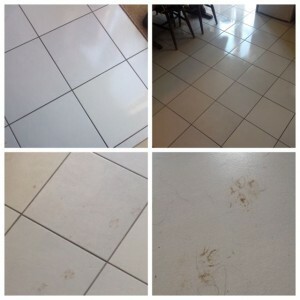 The less you mop your floors, the harder it will be when you do so. Ideally you should be aiming to mop your floors once a week and this is where a steam cleaner really does make easy work of proceedings. I literally pop it on once I’m done with my Sunday morning clean at home and give my floors a quick going over with my new toy. 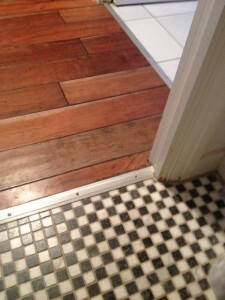 Get to know your floors… some surfaces are very porous, such as a hard wood floor, so pop the setting on a low one if using a steamer to avoid making the wood too wet. You just want to give a light coating and lift off any germs sitting on them, you don’t want to be providing a makeshift home for the local ducks! Great review. Which brand do you recommend?